Cyrus Habib, left, and Marty McClendon. 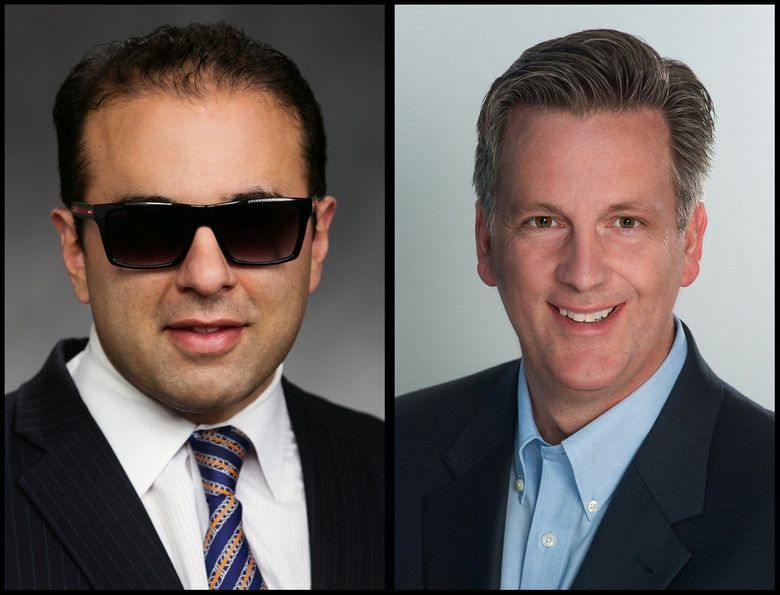 Cyrus Habib, a Democratic state senator from Bellevue, was leading Tuesday in the lieutenant governor’s race over Republican Marty McClendon, a talk-show host and conservative pastor from Gig Harbor. Cyrus Habib, a Democratic state senator from Bellevue, claimed the state lieutenant governor’s office over Republican Marty McClendon, a talk-show host and conservative pastor from Gig Harbor. The victory makes Habib the nation’s highest-ranking Iranian-American elected official. An attorney, he lost his eyesight to childhood cancer. Habib had 56 percent of the vote counted Tuesday, and had claimed 73 percent in King County. Brad Owen, in the post for 20 years, is retiring. The job mainly entails filling in when the governor is out of state, and presiding over the state Senate.